An increasingly long time ago, when I was a kid, we lived on a hill farm in a county called Radnorshire, which is, in fact, not really a county since it was absorbed into Powys in 1974. Officially, having been born in 1975, I have never lived in Radnorshire at all – which was a curious discovery whenever I made it. Local people still see Radnorshire quite clearly, in spite of edicts from the likes of Edward Heath. From our house we looked across hedges, fields and patches of woodland at Hergest Ridge and, out to the west, Colva Hill and Caety Taylow – hills I always loved particularly. They were tall and stark and purple when the heather flowered, and they concealed villages like Rhulen and Bryngwyn, which seemed somehow always to figure in stories – perhaps because my parents lived over there just before I was born. It was over there, on Glascwm Hill, that a woman lost her way one night and drowned in one of the mawn pools. It was over there, on some destitute farm, that a man would shoot crows off the backs of his ewes, doing for both of them more often than not. The hills around the Edw Valley, and the Valley itself – in late spring, with the hawthorns in blossom, as beautiful a place as I have ever seen: those were the places beyond the horizon. Which is my best explanation for the setting of this novel. Radnorshire: a place of history, but also, literally, a place of the imagination. And, in Radnorshire, where else but the Edw Valley? Sometimes I think Addlands is a book about feminism. Sometimes I think it’s about the sacred in the landscape, about what is left once the church and the chapel have gone. One thing I can say for sure about Addlands is that it is an absolute assertion of the Welsh Borders. They are here in the corrupted Welsh place names, in the ‘unkind’ landscape, in the traces of historical conflict, in all the many dialect words and idioms. And they are here in the characters – particularly in Oliver, whose life the book follows. If there was one other thing I knew before I started writing it was that Oliver would grow up to be vast, grand and belligerent: the winner of more pub fights than he can remember, a man around whom legends have clustered even as, five miles away, nobody has ever heard of him. Oliver is a hero in his corner of the hills, and he knows it. He is also nobody, and he knows that too. The book is thick with this sort of paradox. This is Radnorshire: a place of utmost obscurity so far as most people are concerned, a place on the edge of England, on the edge of Wales, a place that formally does not even exist, and yet for him and Etty and Idris (and me) this is the centre of the world. So, I realise, I knew yet another thing before I started writing. This had to be a book written on the terms of its characters, who are Radnorshire people. It had to accept that, although pretty much every other Welsh Borders novel ever written (The Claude Glass included) has seen this area as divided between, as Raymond Williams puts it in Border Country, the ‘Cymri’ and ‘the Saxon hordes’, in fact, like anywhere, this is its own place with its own landscape, its own language and its own traditions. To do the Borders justice, they could not be defined on the terms of the larger, more dominant cultures to either side. Which is why Addlands does not contain the words ‘Wales’, ‘Welsh’, ‘England’, ‘English’ or even ‘border’ at any point. PS A couple of years ago I wrote a thesis / critical overview for a PhD by Portfolio at the University of South Wales. This explains the origins of Addlands, contrasts it to The Claude Glass and other Welsh Borders writing and basically says more on this subject. If you’d like to read it then please help yourself. You’ll find it here. "Marrow-deep in its connection to place yet global in its thematic exploration and significance, Addlands does what literature should unstintingly aspire to do: make individual lives the essential stuff of epic. 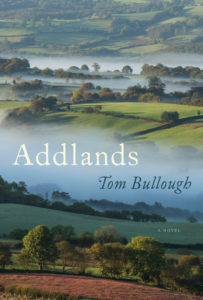 In crystalline, perfect, and stunning prose, Tom Bullough sites, convincingly and movingly, the entire history of these islands in a small section of Radnorshire. The presence of this book – in shops, in libraries, in homes, in the minds of its readers – will improve the broken, atomised world. It’s an astonishing work of words." "Addlands is a gorgeous and painstaking evocation of the land and those who work it. Bullough’s writing is a joy – disciplined, observant and musical, blissfully free of cliché." "This is the book we have been waiting for from Tom Bullough, a complete work of art, astonishingly beautiful, deeply moving and gripping from first to last. 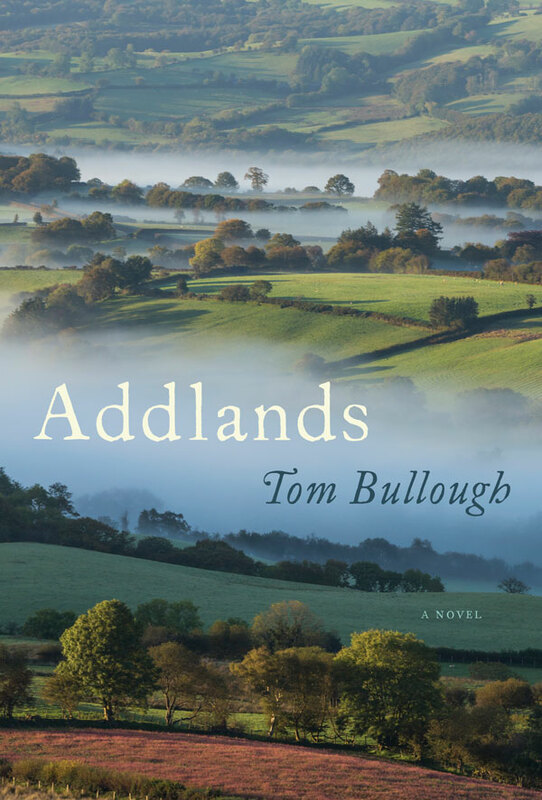 Addlands appears to be a tale of the Welsh borders, told through the battles, loves and losses of its Heathcliff hero, Oliver, but it is much more – the story of how the land made us all, and how the last century has changed us. Zola would have saluted it, and pressed copies on his friends." 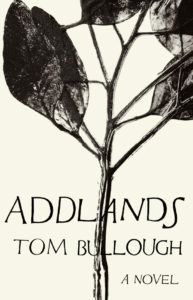 "Tom Bullough’s story of one family’s struggle in a world of continuity and change is beautifully imagined and exquisitely told – passionate, lyrical, profound, sad, and sometimes, too, when you least expect it, very funny." "Addlands is a mesmerisingly beautiful experience, a haunting fusion of person, place and history. It is a really important contribution to the literature of the Welsh borders." "I greatly admire his writing, which both requires – and generously rewards – close reading. Its visionary intensity is always thrilling, often moving. Through a succession of brilliant word-paintings a group of interrelated characters evolves over seventy years. He handles a complex narrative with seemingly effortless skill and evokes circumscribed lives without condescension. The English-Scottish border had that great novelist Sir Walter Scott to map its history: the English-Welsh March is imaginative territory Tom Bullough in his turn is making into his very own magical kingdom. What will he write next?!"